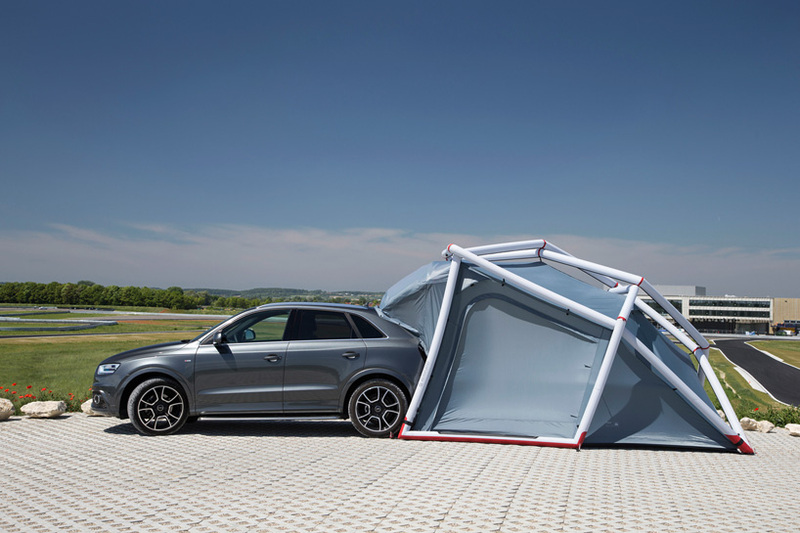 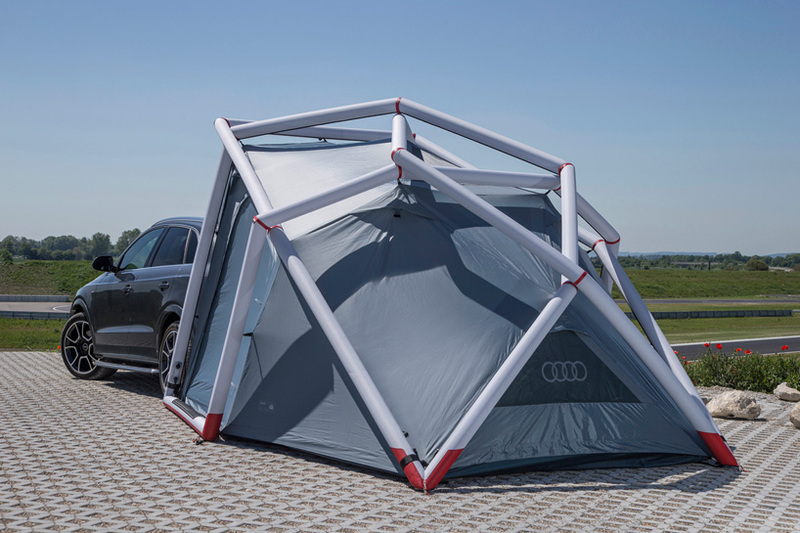 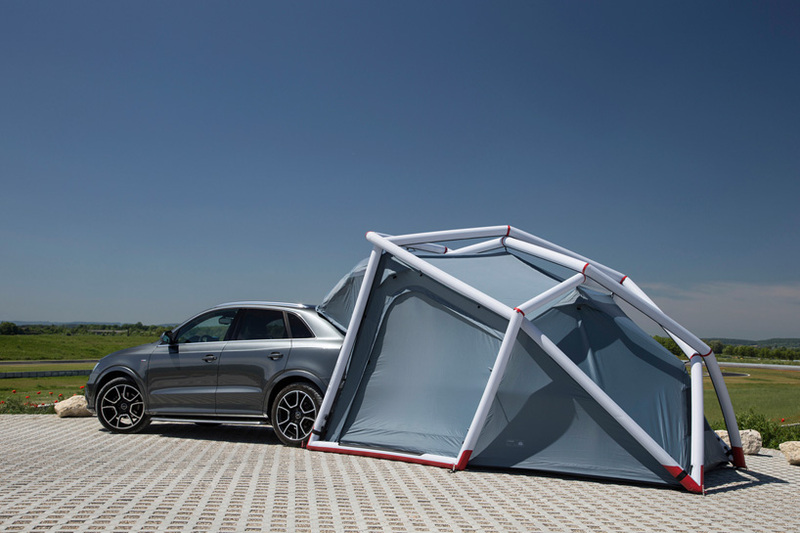 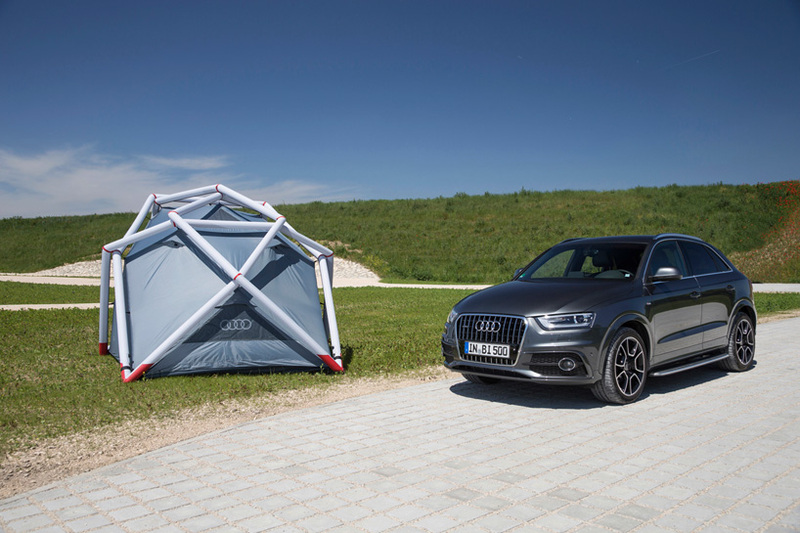 The German company Heimplanet has developed a special camping tent for the AUDI Q3 Quattro. 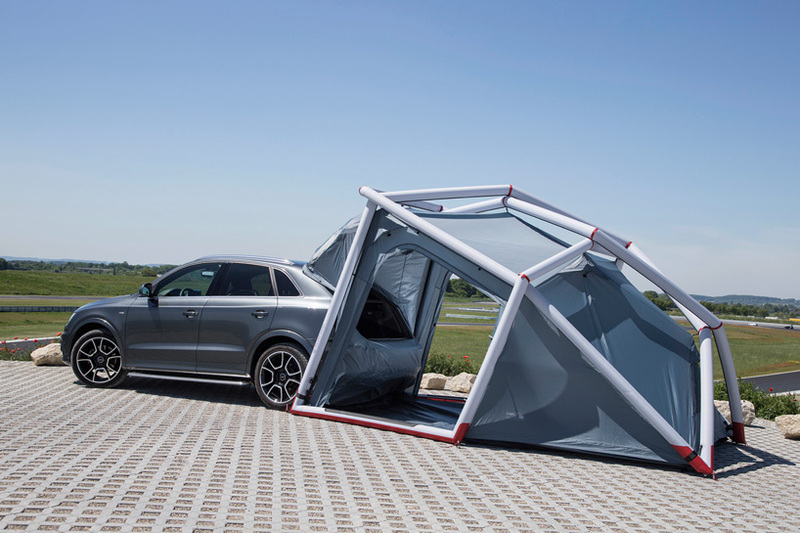 Presented at Wörthersee 2014 in Austria alongside the customized sports utility vehicle, it can be rolled out from the SUV’s roof rack, inflated and assembled within approximately seven minutes. 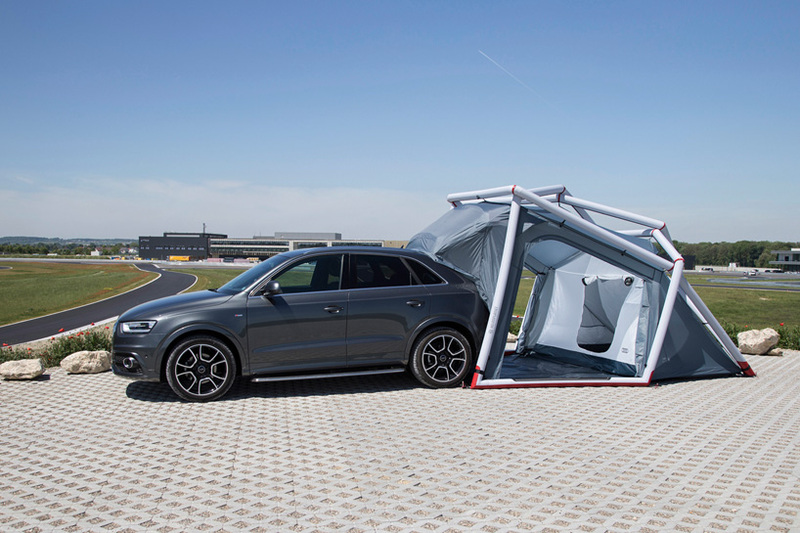 In addition to being completely free-standing, the tent can also be connected to the opened tailgate of the Q3, with a wind load rating of up to 70 km/h.